A major contribution to the content of this page comes from [G. Skutâns],proposing either 7 or 5 species conception. I have presented here the 7 speciesconception. The 5 species arrangement is formed byO. musimon = (O. musimon + O. orientalis) andO. canadensis = (O. canadensis + O. dalli).Some information is merged from [MPR] and [LNAM]. O. a. hodgsoni Blyth, 1941 Himalayas Mts. Ovis californianus Douglas, 1829; Zool. Journ., 4: 332; TL: Near Mt. Adams, Yakima Co., Wash.
?Ovis cervina sierrae Grinnell, 1912; Univ. California Publ. Zool., 10 (5): 144; TL: E. slope of Mt. Baxter, Sierra Nevada, Inyo Co.,Calif. 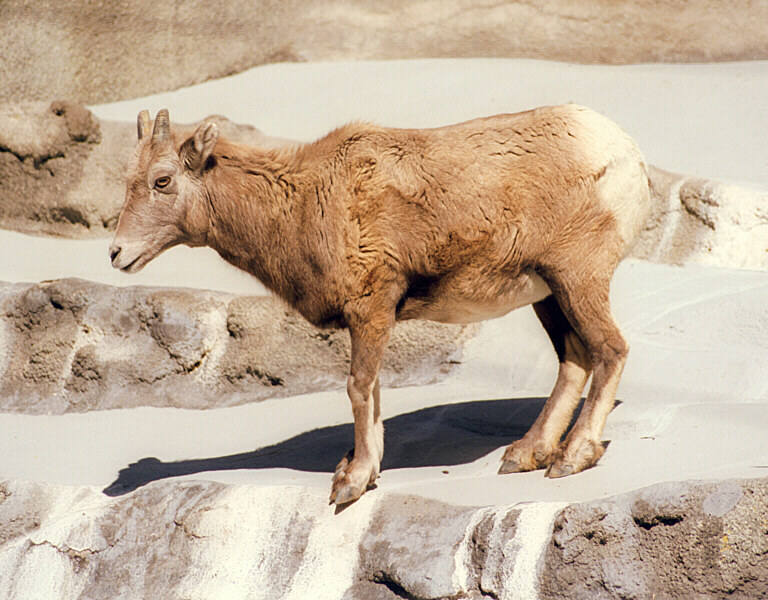 Ovis canadensis auduboni Merriam, 1901; Proc. Biol. Soc. Washington, 14: 14: 31; TL: "Upper Missouri"